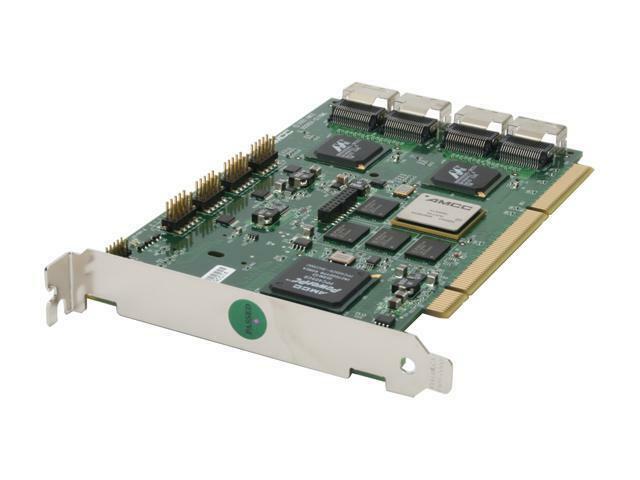 Pros: I'm using both 12-port and 16-port versions of this card on Supermicro-based systems under 32-bit and 64-bit versions of WinXP as video servers and backup servers. Is it as fast as my 9650SE or 9590SE-based systems? Not quite, but it's not that far behind for sustained reads and writes of large files. I can't speak to database applications with multiple users and IO requests. Cons: It's much faster than the 9500's but not as fast as the PCI-Express based cards. No surprise, and not really a con. I would not run any of these controllers without a BBU, so plan on spending an extra $100. The ability to add your own, larger DIMM or SODIMM would be nice, as you can with some of the competition. Other Thoughts: It's nice that 3Ware's BBU works across all three models (The 9500 series is different). The browser-based manager flawlessly handles a mix of PCI-X and PCI-Express based controllers. You can cheat your way around the small-ish cache by adding a utility from SuperSpeed, and, assuming you have some extra system RAM (even 4GB total is enough), you can allocate some of the spare RAM to the LUNs via the SuperSpeed caching utility. If you are willing to let the write pages go dirty, you will see huge increases in sustained write speeds. You can also pull some big sustained read speeds as well from this utility. I have allocated between 512MB and 2GB under SuperSpeed cache to a LUN and dirty-page (write-back) writes get close to 200MB/s sustained. Not bad considering the relative age and interface technology of this controller. Pros: Easy to setup, works out of the box on almost all Linux distributions. Probably just dandy with Windows too. Decent Speeds, albeit configurations are basically try and benchmark to find what will work best for your situation. Cons: The speeds aren't quite what they should be on most configurations (using the Hardware RAID that is). Near/better speeds can be achieved using this as just a sata controller and mdadm. Other Thoughts: I would still recommend this card despite the the speed loss you may sometimes attain. Besides the finding a decent setup for your situation, the card is rock solid and have not had a single data loss problem with this drive since ownership.